Tell us what you need. We'll take care of it. By sending a message through the form I confirm that I give consent for my personal data to be processed for the purpose of delivering a response, as well as for the purposes resulting from the content of my message. The success of a campaign bought programmatically depends on data, but not only on the quantity of data. The availability of data in programmatic is already high, so it is increasingly important to choose the data that is the most valuable and worth paying for, considering its impact on the effectiveness of our advertising campaign. The quality is what counts in the first place. But how do you verify it? Where do I get my data from? What should you take into account when using data-based emissions? First of all, the kind of data. We have the following at our disposal: 1st party data (data that we collect by ourselves, e. g. from the website, CRM), 2nd party data – collected for a specific campaign and 3rd party data, i. e. data purchased from external providers. While in the case of the first and second party data we know where it comes from and we have influence over it, it is much more difficult to assess the quality of the 3rd party data purchased from partners or aggregated already in the DSP platform. First of all, you should pay attention to who the data provider is. What kind of company is it, how experienced are they and what do they specialize in? Are their experience and the data they gather of any relevance to our market? It is also worth knowing where and how the data is collected. Unfortunately, the availability of such information is often limited. Another important criterion is, of course, the price (usually the data are billed in the CPM model and added to the CPM value for which we buy advertising space. You need to find a sweet spot here; pay close attention to whether the additional payment of a few bucks for every 1000 impressions gives you any advantage in terms of higher conversion rates or better traffic quality on the website. And of course, the final benchmark for verifying the quality of the data and, above all, of its usefulness in our campaign is simply a test campaign! It is recommended to carry out several test runs by purchasing data of a similar profile from various suppliers, and then choose the one whose data and cost are most attractive for us. Very often, solely due to the use of data from another provider, we can improve traffic indicators on the website by more than 100%. In the case of a narrow Target Group or a certain industry, it may turn out that available profiles and data from external suppliers are too generic and do not bring the desired results. In this case you should consider collecting data specifically for the needs of our campaign. Try to reach an individual agreement with a selected supplier, be it a price comparison engine, a portal that is especially popular among our target group, or a discussion board. This way, you will know where the data you use in the campaign comes from. Often you will end up with a smaller amount of data, so the emission potential is limited, but the quality will be much better compared to standard solutions. 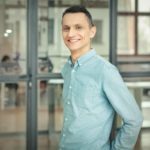 Pawel Markowski is a business development manager at adCookie, a digital marketing agency from Wroclaw, Poland. Check out adCookie’s website or say hi to Pawel on Twitter @pkmarkowski. Questions? Goals? Dreams? Let us know! Ready to order? Great choice! Leave your email and enjoy our special offer! We have something special just for you. Leave your email and get a FREE quote for your business.